Don Williams has resigned from his role as vice president of Veeam across Australia and New Zealand (A/NZ), exiting the software vendor after seven years. ARN can reveal that Williams exited the business on 30 September, and will leave for an extended break with no word yet on his future plans. In addition, Shaun McLagan - formerly of Dell EMC, RSA Security, CA Technologies, Hewlett-Packard and Oracle - has been appointed as senior vice president of Asia Pacific and Japan for Veeam, with the A/NZ role falling under his remit. “I have decided to resign from my role at Veeam and feel that now is the right time for me to move on to my next opportunity,” Williams said in an email seen by ARN. 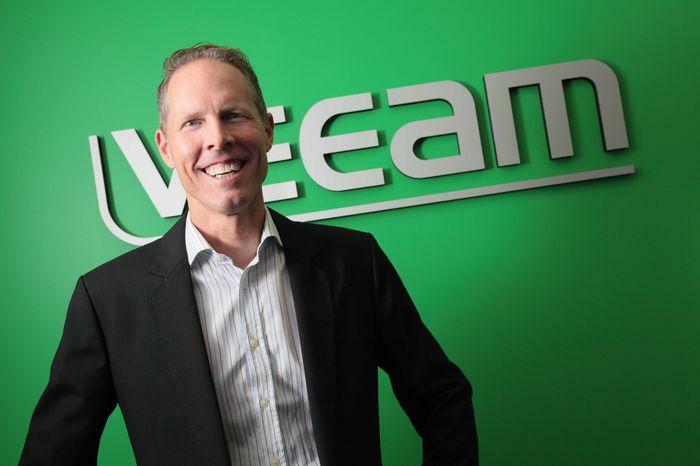 Addressing both customers and partners, Williams said his tenure at Veeam has been “absolutely incredible”, with his time at the vendor “exceeding all of my greatest expectations”. “I feel privileged to have had the opportunity to work with and meet so many amazing people during this time,” Williams wrote. “It is the people that make a business great, and this is absolutely true for the Veeam customers and partners I’ve worked with over these years. “It is thanks to you and all of your support that we have achieved these great results. With software and cloud solution sales experience, Williams joined Veeam in 2010, tasked with overseeing the vendor’s regional operations across Asia Pacific and Japan. Prior to joining the virtualisation specialists, Williams held regional sales management roles at Quest Software, leading a sales team across New South Wales, Queensland, ACT, the Northern Territory and New Zealand. Williams spent over 12 years at Quest Software, starting out in California before moving to Australia in the early 2000s. Williams’ exit comes almost six months after the appointment of Belinda Jurisic as head of channel sales across A/NZ, replacing Amaury Dutilleul-Francoeur who moved into a broader regional role. As reported by ARN, Jurisic returned to the industry less than four weeks after announcing her resignation as channel sales manager A/NZ at Citrix, and reported directly to Williams locally. ARN has reached out to Veeam for comment but did not receive a response at the time of writing.